Senator Elizabeth Warren has said repeatedly that she will not run. 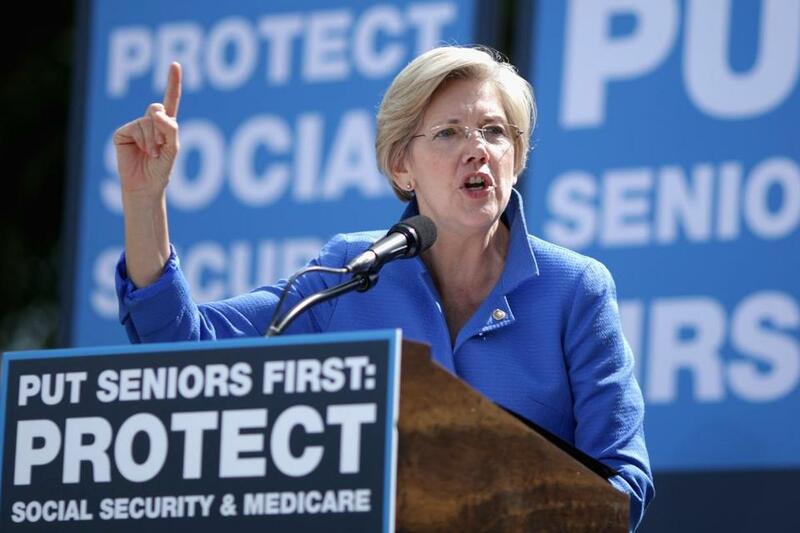 WASHINGTON — MoveOn.org, a liberal political organization, launched an elaborate campaign Wednesday intended to persuade Senator Elizabeth Warren to enter the 2016 presidential race. Nearly 82 percent of the national group’s members voted for a $1 million “Run Warren Run’’ effort that will place staff in states such as Iowa and New Hampshire, assemble a national team of volunteers, recruit small-dollar donors, and produce a wave of ads. A new website pleads, “Dear Elizabeth Warren: Please Run for President,” and features a nearly four-minute video that details her life story. The group will hold its first campaign event in Iowa on Tuesday. Warren has said repeatedly that she will not run. But some liberal groups view her as a more progressive alternative to Hillary Rodham Clinton, a presumed front-runner for the Democratic Party’s nomination, and are making sure Warren knows it.